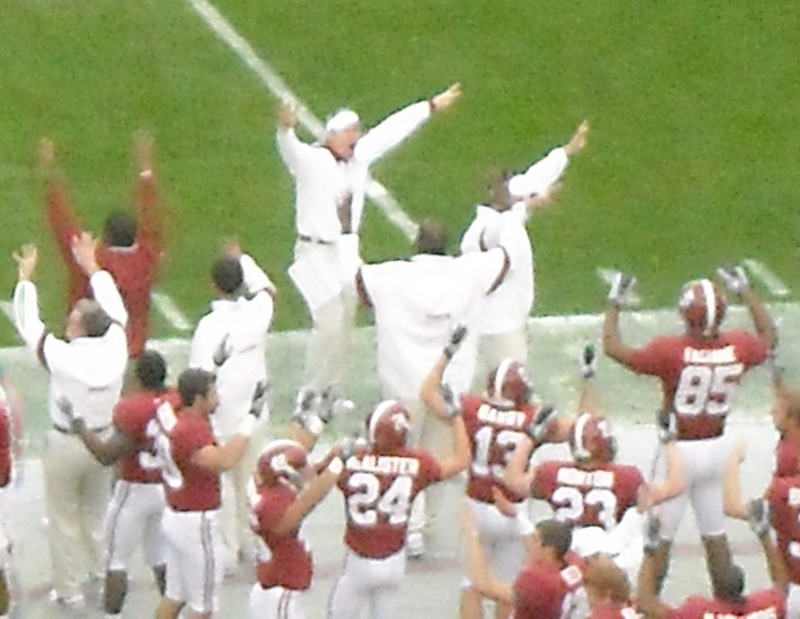 Above you can see the Tide take the field and receive the opening kickoff. At the bottom you will see video of players walking off the field after the victory, with some pictures thrown in for fun, too. Enjoy! Georgia Southern brought an eagle with them. This one didn’t fly over the field before the game like the one in Auburn, but the eagle did make the trip. That is much more than Mike the Tiger can say. Contrary to what some members of the fanbase may be telling you, there is still football in Tuscaloosa. 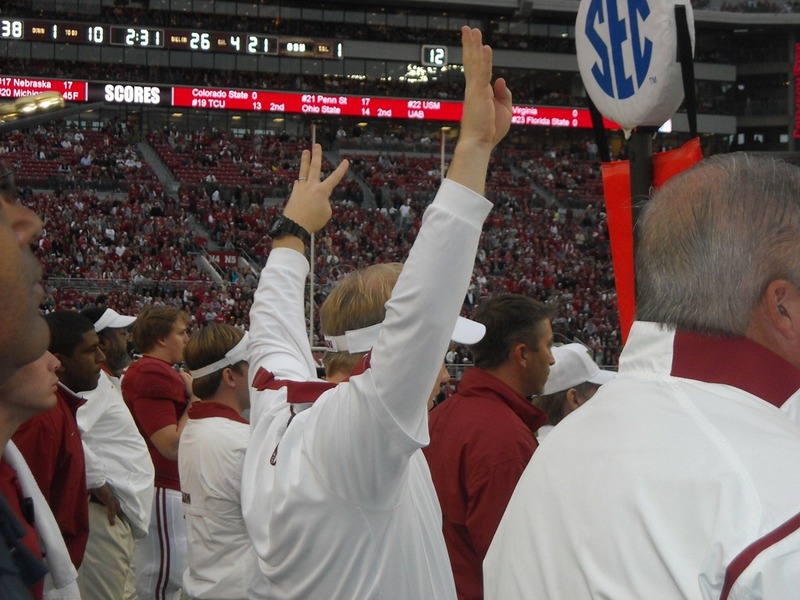 The loss to LSU did not end the season, with the players and coaches preaching finish strong. In the process, there were some headlines throughout the week, and here’s what you need to know. 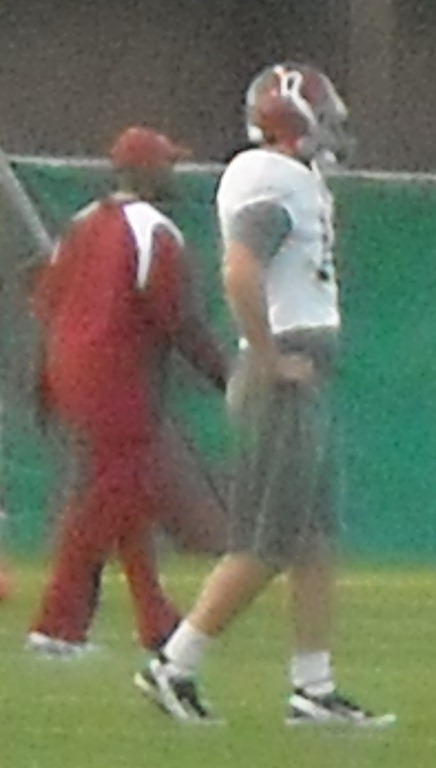 As you saw in the practice video, Barrett Jones is having issues with his right ankle. He has been in non-contact jerseys all week long and has yet to participate in regular individual drills. 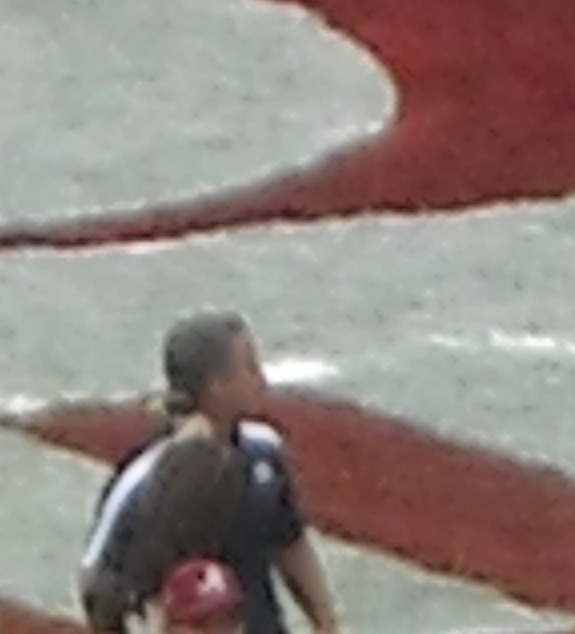 Coach Saban says he is day-to-day, but my hunch says he is more in the doubtful range. Dre Kirkpatrick missed some practice after suffering a concussion against LSU, but he was back on Wednesday. However, he was still wearing a black non-contact jersey. He could be a game-time decision for Mississippi State. Just a few quick hitters left. Brad Smelley didn’t practice on Monday, but never wore a non-contact jersey and was back in practice on Wednesday. He looks to be ok. Also, Dee Hart missed some practice this week with some personal issues that Saban did not elaorate on. His return should be timely, though. That’s all for this week’s BrettAtBama Week in Review. Be ready for the BrettAtBama Breakdown, coming soon. Hello, Readers! Now that status quo in Tuscaloosa is (nearly) restored after the loss to LSU, it’s time to get back to the Mal Moore Athletic Complex for preparations for the upcoming road game against Mississippi State. Here’s some information I was able to gather at practice today. Offensive lineman Barrett Jones was in a black non-contact jersey, and appeared to be experiencing some pain in his right ankle. He was inactive in practice today and is still listed as day-to-day. 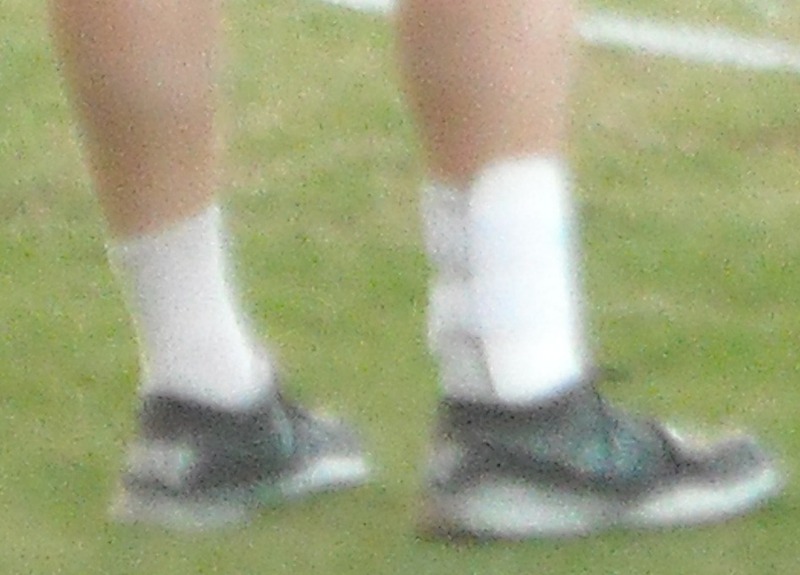 The second picture is a close-up of the brace on his right ankle. Also in a black non-contact jersey was Dre Kirkpatrick, who was experiencing concussion like symptoms after his run-in with Tyrann Mathieu. As per the norm with concussions, he is listed as day-to-day. The real head scratcher of the day was Brad Smelley not practicing. 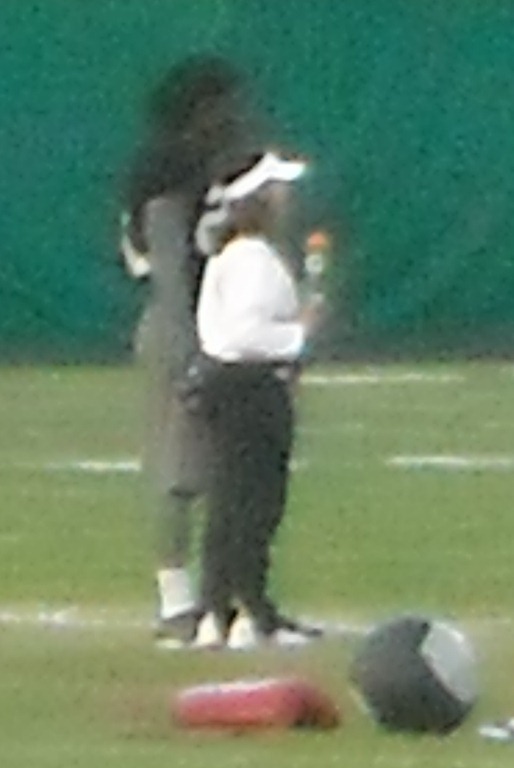 He was not in a non-contact black jersey and I didn’t notice any extra padding or protection on him during practice. I’ll update you more as I know it. All photos in this post are BrettAtBama originals.